Have a chatty class? Do your talkative students get louder and louder during small groups until it feels like chaos? Do they talk when you're talking then ask you what the directions were as soon as you finish? Don't worry. This is totally normal. And completely fixable. Really! 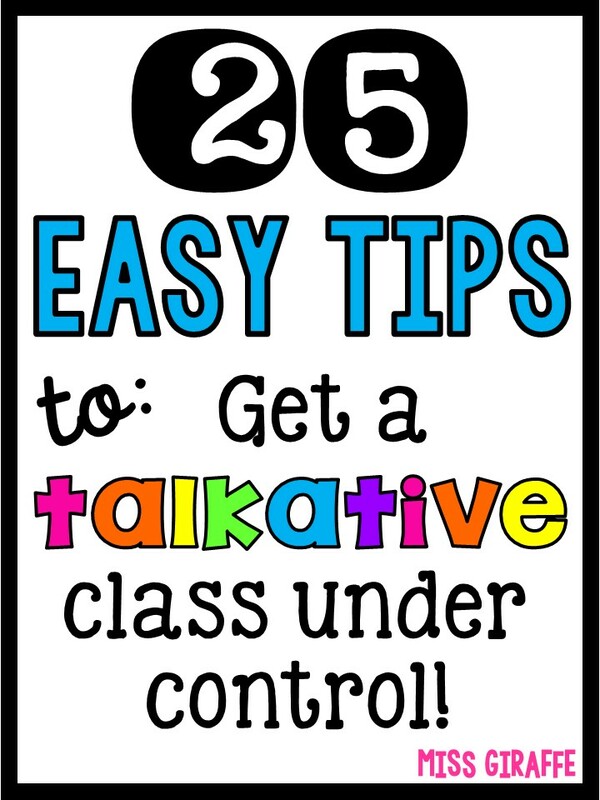 Here are some simple but effective classroom management strategies for taming talkative students and getting that side chatter under control! Make sure you read them all so you can find the ones that are perfect for you and your class - I packed a lot of tips and tricks in this! This works like a charm. If you're going to be giving directions, teaching a mini lesson, reading a book out loud, etc. : Tell the students to listen for a secret word (ex: kangaroo, watermelon, etc.) that you will randomly insert in your talking. The first person to raise their hand when you say this word (it's super exciting for them!) gets some sort of prize - a sticker, a ticket, time on the computer - or just the satisfaction of being the person who got it first. Insert the word toward the end of your directions so they hear them all and the daydreaming students don't lose focus after the fun word has been said. They will be hanging on your every word, with their hands ready. If their friends try to talk to them, they will probably ignore them so they don't get distracted and miss the secret word. Another way to get students to not talk while you give directions is to play "Beat the Timer." You can make this a fun challenge for them! Any time you start talking, students have no idea if you're going to give them 1 minute directions or go on a 10 minute ramble so they're likely to just start talking when you do. Tell them that if they can "beat the timer," they'll get some free time to chat. Make it seem like a game. Set a kitchen timer for how long you want to talk for. Tell them that if no one talks before it goes off, they get free time to chat after you're done! I recommend starting out at only 2 or 3 minutes then slowly working up to 10-15 minutes or however long your mini lessons are. If no one talks, you'll set the timer to give them 1-2 minutes to freely talk after you're done. If just one person talks, they don't get the chat time. They don't want to be the one to make everyone miss out and will also regulate each other. Kids will do anything to get this free time to chat for a minute! Plus, if they know there's an end in sight to your talking and have an incentive to stay quiet, they will. You can project an online timer on your interactive white board if you have one or put the kitchen timer under your document camera if you want them to be able to see it. Seeing it count down might help especially impulsive kids control themselves. However, if you notice they're all looking at the timer rather than listening, don't provide the visual. I personally say don't show it to them so they don't see how long you're going to talk for and sigh when it's a high number like 10-15 minutes. For really young kids, you can also break 15 minute lessons up into chunks - you talk 5 minutes, give them a minute to chat about it, you talk 4 minutes, give them a minute to chat, you talk 3 minutes, give them a minute to chat. If they talk before the timer goes off, act sad, "Aw man! Someone talked. I guess we won't get talk time. Let's try harder next time." and that person will think twice about doing it again because their friends definitely know who they were, you don't need to say it. If they don't talk before the timer goes off, let them have free time chatting for 1-3 minutes at the carpet or their desks, wherever they were when you gave directions. Set the timer so they hear it go off when it's time to stop chatting and get to the next activity. Also enforce that when they hear the chat timer go off, they must get straight to work or they won't get to play "beat the timer" next time you talk. Having a timer will also force you to make your directions concise. It's easy as a teacher to repeat things or ramble, especially when being constantly interrupted, so timers actually help me keep directions simple and to the point. 3. Play "Students vs. Teacher" or "Table Points" to make staying quiet a competition. I explain how to use this strategy in my post: 20 Classroom Management Strategies You Can Start Right Away - I really recommend reading that for a lot of simple behavior management tricks you can do to make the day easier! 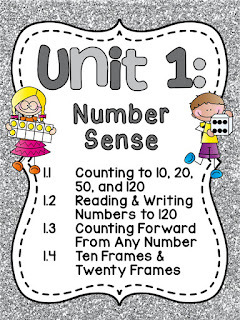 In that post, I show it using tallies but you can also use 10 frames or even 20 frames to connect it with learning! 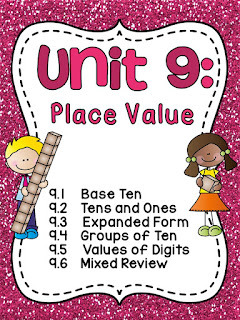 You can get the "Students" and "Teacher" labels and ten frame mats in my Chatty Class Classroom Management pack. There's also extra ten frames so you can make it 20 frames. I stuck magnet dots on the back of math cubes so I can easily fill the frames but you could use circle magnets or fun themed magnets (or put magnet dots on the backs of fun holiday objects like spiders for Halloween) to fill up the ten frames depending on the season. By the way, I totally recommend sticking magnets dots on math manipulatives like this to use during math instruction on the board! 4. Read books about being too chatty! There are some fantastic books to read aloud that address specific behaviors. Check out the books in the categories "Blurting & Interrupting," "Overly Chatty," "Using Your Inside Voice," and "Listening" - these are seriously awesome books that will help a ton! Kids love to talk. If they know they can talk during your lesson, they're more likely to stay quiet in between (or at least can be trained to be). Let them talk but make it relate to the lesson. If they know they're going to have to explain what you said to the person next to them, they'll listen so they don't say "uhhh" when it's time to share. Every kid should have an A/B partner at their carpet spot (if you don't have assigned carpet spots, do that yesterday!) and at their desks that stays the same. Every kid is either an A or a B (you can make it a cutesy name like chips and salsa, monkeys and bananas, etc. if you want) and that is what they always are so it's known and doesn't take time to explain each time. If their partner is absent that day, let them join the 2 people next to them as a C so there's no physical moving involved. After you explain something, say "As tell Bs what I just said" or "Bs explain to As how to..." or "As what do you think about [insert open ended question relating to the lesson]" so they never know if you're going to have As talk or Bs talk. If you don't assign it, they'll figure they don't have to listen because their partner will OR the more dominant kid will always talk. This gets everyone listening and talking about the lesson. Do it several times during your lessons, directions, or read alouds. It seriously works wonders! Blurt cubes are AWESOME. If you have a few super chatty kids, you can do it just with them or you can do it with the whole class. Every kid has 5 cubes on their desk that spell BLURT. Their goal is to keep them saying BLURT all day. If they blurt or talk while you're talking, you discreetly give them the blurt signal (look directly at them and hold up your hand in front of your chest showing the letter B in sign language) while continuing to talk. A quiet signal doesn't interrupt your lesson but they know to redirect themselves. The other kids will also see you give the signal and it'll remind them not to blurt either. When a student sees you give them the blurt signal, they know to switch their cube to upside down so it no longer shows the T in "Blurt" - the next time, they'd lose the R, then the U, etc. They cannot earn them back. Having the cubes on their desk is a great visual, yet private, reminder for especially impulsive kids. If they have all the letters in BLURT at the end of the day, they get a "Blurt Dessert" card! Make the blurt dessert something really appealing like a few minutes of free time at the end of the day while the kids who lost letters work on unfinished work. If you have a really chatty and/or impulsive class, I recommend doing 2 rounds of blurt cubes halfway through the day with a known time it resets about halfway through each day (before lunch and after lunch, for example) so an impulsive kid doesn't immediately give up for the whole day when they lose 1 cube. You can also make the rewards "shaded"... the more cubes they have, the more privileges they get sooner. "If you have all of your Blurt cubes, line up for recess [those kids line up], if you have 4 of your cubes still, line up [those kids line up]," and so on. If you let the kids go to the free time, they go in that order. If you let the kids talk at their tables, the non-blurters can talk first then after 30 seconds, let the 4 cubes join in, then the 3 cubes, etc. That way, if a kid loses 1 cube, they still have incentive to not lose any more cubes. If they lose ALL of their cubes, you can have them fill out a "Blurt Alert" sheet. They can either take it home to their parents to sign and return or you can keep it in your records. 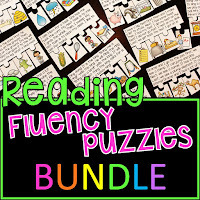 These blurt alerts and desserts are also in my Chatty Class pack. I love the Blurt Dessert cards for recognizing kids who don't blurt (it's easy for the quiet ones to get ignored) - you can have them collect them and then turn them in for rewards or prizes. This is another favorite trick of mine that is pure GOLD for independent work time during math or literacy centers - those times when you're sitting at a small groups table and can't actively manage the classroom. When independent work time begins, pick a well-behaved child to be the Quiet Manager and give them a 2-minute sand timer from the dollar store. They flip the timer and stand at the front of the classroom or wherever they can see all the students best. They are looking for the quietest, hardest working student to be the next Quiet Manager. They EAT. THIS. UP. Just being able to get out of their seats for a second and stand at the front of the class with an important job for 2 minutes is a huge incentive. The quiet manager is looking for kids who don't look up (unless it's to see the word wall or a reference chart), are focused on their work, and aren't talking at all. Everyone will be working quietly to try to get chosen. When their sand timer runs out, their job is over and they quietly tap the person they thought was working hardest. They sit back down to do their work and the person they tapped goes to the front, flips the timer, and does the same thing. You can be picked more than once (otherwise kids won't care once they've been picked) but be sure to talk to them about not just picking your friends. Tell them exactly what desired behaviors to look for when you explain the job and tell them how it's a super important job to keep the class quiet and hard working. :) They DON'T walk around between desks/tables, they stand in one place with their timer. It may sound like it's distracting but it's really not - especially when all the kids know looking up at the quiet manager will make them not get chosen since not looking up is one of the desired behaviors the quiet manager is looking for. It's a GREAT, simple way to keep your kids quiet and working while you're trying to do small groups! Note: If there is center time where your kids are allowed to talk then the quiet manager is looking for kids who are working at a reasonable voice level and not loud, are staying in their seats, and are focused on their work. 8. Make blurting a clip down level offense. This one should be used sparingly, of course, but it's great if you know you need to teach a long lesson or really want them to listen to something. Plus they'll think you're the coolest teacher ever. Give each kid one of those giant marshmallows that fills their whole mouth. Tell them to keep it in their mouth the entire time you're talking - don't chew or swallow it. Anyone who still has the marshmallow in their mouth after you're done talking gets a brand new yummy marshmallow! They'll definitely remember this lesson so you can use it all year to tell them how you want their mouths. Simply say "marshmallows" and they know to puff out their cheeks as if they have a marshmallow in their mouths. You can also keep the theme by having a bag of mini marshmallows that you occasionally bring out and quietly/casually place one on the desks of kids who are working quietly. Place just one marshmallow on a desk and every kid will be so quiet hoping to get one too. This works with any kind of food! Don't feel like you have to give them a handful - just one pretzel, one cracker, etc. is enough to quiet everyone down - you can come around more than once to the same kid if they're super quiet, it'll just keep encouraging the others to be, and continue to be, quiet to earn more. You can do this in many different ways but the goal is to fill up the jar to earn prizes along the way. Write class rewards on colored tape to put on the jar. The prizes get better as they fill up the jar! I like having prizes along the way so the awesome big prize doesn't seem so far away and it keeps their motivation high. Fill in fun prizes on tape to put on the jar and when the jar gets to that line, they get that prize! Every day, each kid gets 5 (or 3 or whatever you decide) blurt beans to start the day. I recommend they keep them on their name tag. THEY are responsible for keeping track of them. If they lose them, oh well. If they blurt out or talk while you're talking, you quickly and discreetly take away a bean from them or tell them to go put a bean in the blurt beans jar. Have another jar on your desk or somewhere you drop them into. I wouldn't have it displayed necessarily but it's nice to have as a visual during a firm look-at-all-the-beans-we-could've-put-in-our-jar-toward-our-goals talk on a particularly crazy day - but don't do that often at all - keep this as positive as possible! At the end of the day, all the kids drop their beans into the class rewards jar which is exciting to see it fill up more and more toward the lines. I love that the beans don't have names or identifying features on them. They're working together to fill up the jar so no beans will be stolen, they'll be careful to not knock other peoples' beans onto the floor (beans on the floor that aren't yours immediately go in the blurt beans jar), and they'll encourage friends to be quiet. You could also have an individual blurt bean jar for a super chatty kid if you just have 1 blurter and your class is otherwise quiet. For younger kids (kindergarten and first grade), you may need to break it up a lot more than 5 to manage all day (although you'd be amazed how well they'll protect their beans when there are rewards are involved). In this case, do 1 bean per lesson. Have someone's job be the Blurt Bean Manager. When you tell them to, they go get a handful of beans, hand each kid 1, and put the rest back in the jar. Every time you want to do a lesson, independent work time, read aloud, or any time you want them to be quiet, each kid gets 1 bean. If they're listening on the carpet, have them hold it in their folded hands so it is also a physical reminder. If they talk during the lesson, they have to give you their bean. 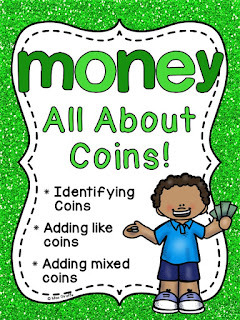 At the end of your lesson, hold the class rewards jar and let the kids who kept their bean quickly drop in their bean (while you say, "Good job" with a smile) on their way back to their seats or, if they're already in their seats, go around while they're working with the jar to collect their bean and smile at them when they drop it in. You can also have bean collecting be the Blurt Bean Managers' job. Be sure to say positive things like, "Wow! Look at all the beans we earned from good listening! We're getting closer to the [whatever next reward is] line!" Never take beans out of the jar. Once they earn it, it's theirs. It's a really fun twist on the class jar! 11. Use a voice level chart. I LOVE voice level charts. I don't think it's enough to just say "inside voice" or "outside voice" to young kids because they'll just start out in a quiet voice and progressively get louder. Sound familiar? Have a visual displayed that tells them exactly the voice you want them to use. I love my animal themed voice level chart! Put a clip on the voice level you want them to be using at that moment and they can easily look up at any time to see where it should be. When you first introduce the chart, practice each level with the kids. Make it fun and be dramatic. When you practice "Loud Lion" ask what sound a lion makes... ROAR! Then talk in a super loud voice and say that's what a loud lion sounds like. Should we ever use that voice inside? Nooo. Only on the playground or outside. I like having full page posters of the voice level displayed next to the chart too so kids can see it from anywhere in the room. Simply print them, put them on a binder ring, and flip it to the current voice level. As you can see, I clipped "Inside Iguanas" so kids should be using their inside voices so I would then flip the animal poster to the iguana poster so kids can see it across the room for easy reference. Make sure you keep up with it so kids know they can reference it at any time. You could have it be a students' job to flip it. Anything you can delegate or that doesn't have you use your voice (constant verbal reminders are fun for no one), the happier teacher you will be! What about when it's "Quiet Turtle" time?? The bottom of the voice level chart is called Quiet Turtle. The quiet turtle is a big deal, my friends. When I say, "It's turtle time!" that means all voices are off until further notice. To keep up with the theme, occasionally tell kids you're looking for quiet turtles to give a sticker/treat/ticket/etc. too. You only have to give 1 or 2 out to get complete silence. My favorite part, though, is to have a quiet turtle! Get a turtle stuffed animal and let your kids name him. Mine is Tommy. He is the "quiet turtle." Be sure to tell your kids he doesn't like loud classrooms so he only comes out when it's really quiet. He likes to sit by the kids who are being the quietest. You could say something like, "Tommy wants to come out but he's looking for quiet turtle friends." when it gets noisy and when they get really quiet, bring him out and place him on the desk of someone being quiet. They can hold him while they do their work. After a few minutes, Tommy goes to a new quiet friend. They'll be super quiet to get the turtle! You could also make mini quiet turtles! I LOVE my little quiet turtles! Place them on the desks of kids working really quietly. Make sure you tell them the quiet turtles don't like being touched by anyone other than you so if you touch it, you're going to scare it so you'll lose it. They also don't like noise so if you talk, you lose it. Keep it fun and act like they're caring for a pet. For some reason, having the little turtle on their desk to take care of is incentive enough to not talk sometimes! Only use this method occasionally or it'll lose its excitement. With all behavior tricks, you want to vary it up and keep it exciting! Some teachers find this helpful, others don't. Play instrumental or classical music while they work. It does have a sort of soothing feel and fills up the need for noise so it can keep students quiet during work time. Tell them if you can't hear the music, you're too loud. They only get the music if they can work quietly, otherwise it's silence. If you want to explain something or give directions, hold up your hand with 5 fingers up against you at chest level. The kids copy you (hands against their chests so it's not distracting to them or others). If someone talks, blurts, or interrupts, you put down a finger. All the kids copy you immediately. If you can get through the directions with all your fingers up, they get 2 minutes to chat before the activity (or earn some type of reward but I like instant rewards when possible). If you still have 3 or 4 fingers up, they get 1 minute. Only 2 or 3 fingers, they get no talk time. 1 or less, some type of punishment like losing recess time. You can alter the times and number of fingers to fit your class. The beauty of it is that they have to copy you... so they have to be at least looking at you while you talk. If someone doesn't put their finger down when you do in a timely manner, the class loses another finger. Don't say who did it but say, "Uh oh. Someone didn't copy in time. We lost another finger." so they know everyone has to pay attention. Holding up their hand is also a physical reminder for those especially blurt-y kids to control themselves. When you want to get the attention of a noisy class quickly, clap out a rhythm. They know to clap back the exact same rhythm. Only some kids will clap back the first time most likely. Clap the same rhythm again (hopefully most will do it back). Now do a new rhythm. Keep doing rhythms until you get everyones' attention. Smile while you do it so it's a fun thing! I like to clap out a really difficult fun rhythm for the last clap because kids think it's funny. The goal is always to use your voice as little as possible so you can keep your energy and honestly, using your voice to tell kids to quiet down is just as effective as talking to a wall most of the time so you want as many nonverbal strategies as you can get. If you DO use your voice, have it be simple and quick like fun callbacks. There are a ton of them out there. I recommend only using a couple so they actually remember what to say back. One fun example is you say, "Holy moly!" and your kids say, "Guacamole!" I talked about this in my popular 20 Classroom Management Strategies You Can Start Right Away blog post - change your voice so they have to match it! It keeps the call backs exciting. For example, say holy moly in a squeaky high pitched voice and they have to say guacamole back in the same type of squeaky high pitched voice. You can change your pitch (high/low), tone (sassy, angry, excited, etc. ), speed (say it really fast, draaaaag out every word) for a ton of variety! When you want to get their attention, just start singing a song they know. It can be a well known kids' song, a holiday song, or even a popular song they like from the radio. If you start singing, they know to join in. They also know to look at you because you're going to end the song at any moment with "the signal" and they don't want to be caught singing by themselves. :) The signal to abruptly stop singing is you put quickly both hands up on either side of your face shoulder width apart. If they see this, they immediately stop singing and do it too. When everyone's hands are up, they copy your motions as you bring your 2 palms together in front of your face, lock your fingers, and bring your folded hands down to your lap. Also put a marshmallow in your mouth for them to copy as you do this. Now they're ready to listen! I love it because you can't sing and talk at the same time so it brings all conversations to an immediate halt in a fun way. 19. Teach them silent signals to kindly ask classmates to be quiet. Peer pressure works wonders. A lot of the strategies I've mentioned work well because the kids help each other be quiet. Make sure they're doing it kindly by teaching them quiet signals. It's not nice to "Shh!" someone but you can give them a silent signal to refocus them. Teach them that if someone talks to them during quiet time to hold their pointer finger up to their lips in the "quiet" signal then point to what they're focusing on. So, if the teacher is talking, they would put their finger to their lip then use it to quickly point to the teacher. This will tell the person trying to disturb them to stop and remind them where they should be looking. If they're supposed to be silently working on their classwork, they do the "quiet" signal with their finger then use it to point to their work. If kids know that's what they're supposed to do, they won't think it's "mean" when kids do it to them; instead, it'll remind them what they should be focused on. Young kids want to be accepted so they're way more likely to listen to a peer tell them to be quiet than you. Also explain to them that if someone is talking TO you and you're not stopping it with a quiet signal, you're just as guilty as the talker. If they do the quiet signal to someone twice in a row and the person keeps talking to them, then they must REPORT that to you. (To read my post explaining tattling vs. reporting: How to Tackle Tattling) Then, the talker also knows that they will for sure be in trouble if they don't listen to their friend's quiet signal. Sometimes there are kids who just constantly need to chat at their seats. If someone has to report to you multiple times that they're being bothered, have them use a privacy folder. Each kid should have an empty simple 2-pocket folder that they can pull out to stand up on their desk to work inside of. The folders will stand up on their own when they're empty. I totally recommend using them for tests so kids can't look at each other's work. Kids keep them in an easily accessible place so if they just keep talking when you've asked them to be quiet, say, "I guess we need our privacy folders" and have them all put up their folders. I recommend letting kids know they can pull them out on their own when they really want to focus and/or someone is distracting them. You've probably heard about flexible seating all over the place recently. It's a huge trend this year taking over classrooms and many teachers swear by it for behavior management. Have alternative seating options students can use or go to during the day to work at. Some people have switched completely to alternative seating and some teachers just have a few options for places kids can go. Here is a huge list of flexible seating options and ideas if you're interested in trying it out! So this may sound crazy but give an interrupting lesson to teach empathy and how "blurts hurt." Kids may not realize how it actually hurts you when they interrupt you. They just think you're telling them to be quiet because it's a rule but may not realize that they're not being a good friend to you. Building classroom community is important and you, as their teacher, are a part of it just like they are. First, bring them to the carpet. Then, start by telling them how blurts hurt and when they interrupt you or talk when you're talking, it makes you feel sad. Then, ask them a really fun open ended question that will get them talking if you call on them like, "If you could have 3 brand new toys, what would they be?" or "If you were the principal, what would you do?" Let them think about it for a second and raise their hands. Let's say you ask what superpower they would have and why. Call on someone. When they get 3-5 words into their sentence, loudly exclaim, "I'd love to be able to see through walls so I could sneak up on my friends!" to interrupt them then quickly say, "Anyone else want to share?" They'll raise their hands, call on a new kid. When they get about 3-5 words into their sentence, start a random conversation with the kid closest to you on the rug, "I got a puppy yesterday. We named him Jim." Do it a couple more times (keep it light so they think it's funny) then say, "That wasn't very nice of me to not listen to my friends, huh? How do you think it made them feel when I interrupted them or didn't listen?" to start a conversation about what it feels like when someone doesn't listen to you when you're talking and why it's important to be a kind listener. Of course don't interrupt them during this share or again. Sometimes I think it's important to remind students that WE are humans with feelings too and the way they act can hurt our feelings. 23. Have a lot of hands on activities. 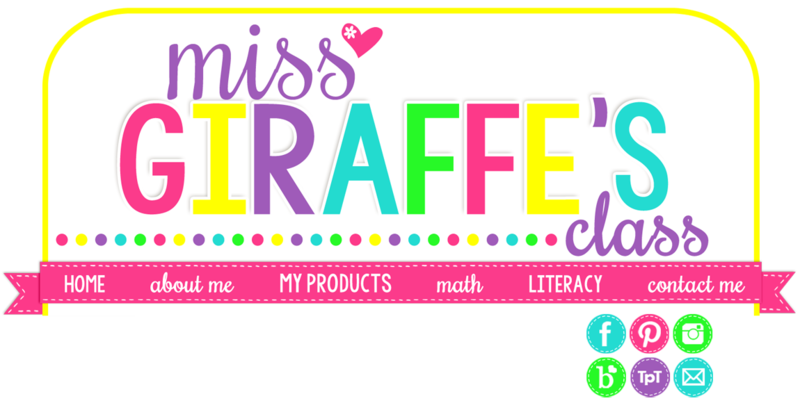 If you read my blog, you know I have A TON of hands on resources in my TpT store for math and reading. You can read blog posts to see my math centers and activities in action by clicking on the math concept you want to see (place value, fractions, telling time, composing shapes, fact fluency, making a 10 to add, etc.) on my MATH page. I also think it's great to have fun activities like Secret Sight Words cards they can do when they're done with their work so they don't bother their friends who are still working. 24. Give them time to socialize first thing in the morning. When your kids come in first thing in the morning, they have a million things on the tip of their tongues that they want to share with their friends (They lost a tooth last night! They went to a baseball game last night! Their little brother did something funny this morning!) and also just came in from before-school recess. It's hard to go from 60 to 0, from running outside at recess to coming in to a quiet classroom, especially when all you want to do is talk to your friends. They also may have just had breakfast because they were running late (not their fault) then had to rush to class and didn't get to play at all. They may have just had a "fight" with a friend on the playground where someone wasn't very nice to them that they're still upset about. Having some structured play time first thing in the morning to let them decompress and socialize positively with their friends is an awesome way to start the day. It will make them look forward to coming to school and getting to class on time. Have clear expectations and rules. Kids come in, put away their things, do their daily graphing question, and pick a table to work at. Once they pick a table, that is their table for the entire morning time. There is no moving tables. First come, first serve. This is another time the voice level chart I talked about above comes into play. They HAVE to use the level it says (I recommend Level 2 or 3) or they lose the privilege. Encourage them to talk though! Don't make it have to be super quiet inside voices, that's no fun and won't get their crazy out. They need this time to socialize like they would on the playground. It also gives you time to do attendance, lunch count, and anything else you need to do first thing in the morning. Let them know it's a rule that they cannot talk to you during this play time because, just like it's their time, it's also your time to prepare for the day. If they need to turn something in or bring you something, they simply place it in your "INBOX" and go to their morning tubs. If they need to tell you something their parents told them to tell you, they know to write it down on a piece of scratch paper (always have scratch paper available somewhere for your kids) and put it in your inbox. It'll be inventive spelling and that's okay. If they are super reluctant writers or you teach pre-K or K, tell them to just write their name on a notepad and put it in your inbox so you remember to ask them about it. Be firm that there is absolutely no talking to you during this time. If they come up to you, point to the scratch paper. This will also allow you to decompress and start the day positive. In my opinion, you get a lot more done when you start the day this way because the kids aren't all wound up. When it's time to start the day, give them a 5 minute warning so they can start mentally preparing for play time to be over. When it's been 20 minutes, calmly let them know it's time to clean up. They should know to do this quickly and quietly if they want to keep the morning play time privilege. If you're having an issue with your kids talking in line when you're walking somewhere, split the line up into 2 lines next to each other and have a "Quiet Line" competition. Kids love being first, especially if you're walking to lunch or recess or another fun activity they want to get to as soon as possible. Tell kids you're looking for the quietest line. Whenever you arrive at your destination, that line gets to go first. If they were both absolutely silent, let the first line go then the second line right after. However, if there WAS redirection, hold the 2nd line back for a little while after the 1st line (the quietest line) has already gone. Even if it's just 30 seconds or a minute, they will not like seeing their friends run off onto the playground while they're still standing there. To really make it effective, you can hold up both your hands on either side of your face while facing your 2 lines and walking backwards down the hall to do the 5 finger game with them. How many fingers you're holding up is the amount of points for that line. If someone in the line on the right talks, you put down a finger on your right hand (the hand closest to that line). If someone in the line on the left talks, you'd put down a finger on the left hand. This is an easy way to keep score and they will be so focused on your hands that they'll forget to talk anyway. Alright! That's a lot of strategies! :) I hope you found some that can work for your class to try out. Let me know in the comments if you tried any of these and how they worked! Also let me know if you do any of these currently and if they work for you. Classroom management can be tough but it's key and there are so many little tricks that can make the school days easier. I really hope some of these were helpful for you! As always, thank you for reading my rambling! I know my blog posts are long but I always want to pack as much info in as I can to help! Please feel free to pin any images from this post onto Pinterest to save them. Hover over the picture so the pinterest button pops up & click on it to pin it to your boards! :) Here's some more!